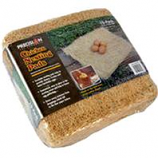 Excelsior nesting pads help to provide cleaner fresher and more hatchable eggs. Economical easy to place in the nesting areas and help in faster egg gathering. Draw away moisture from droppings which fall to the liner paper below.. Made in the USA from Great Lakes Aspen. . Economical easy to place in the nesting areas and help in faster egg gathering. 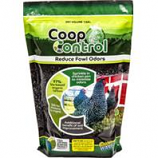 Draw away moisture from droppings which fall to the liner paper below.. . . .
Sprinkle in chicken pen to minimize odors. 97% bio based organic carbon. Safe for chickens to ingest. . . 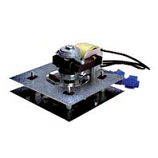 Improves hatch rate by circulating a constant flow of warm air throughout the incubator. Converts bci# 338608 - still air incubator - to a circulated air incubator. Quick connect wiring for ease of installation. Heavy duty stainless steel design. For use in environments with wide temperature variations.